Independence Senior Care is licensed by the Virginia Department of Health, bonded and insured. Our caregivers are highly qualified and screened Geriatric Nursing Aides, Certified Nursing Aides, Personal Care Aides and companions. 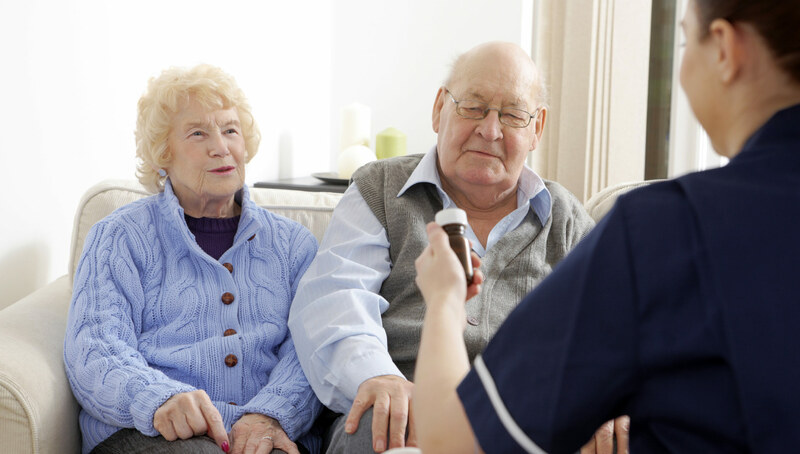 They are ready to provide in-home elderly care to you or your aging parents. Independence Senior Care will ensure that your loved one receives the medication they need, exactly when it is prescribed. We also provide respite care for caregivers, as well as additional care at assisted living facilities, rehab centers, hospitals. We help our clients with senior home care including: light housekeeping, laundry, changing linens, meal planning, preparation and clean-up. Our support services can also provide transportation, accompaniment, ambulation, transferring and lifting assistance. Senior companions provide non-medical services that help make senior living more comfortable while serving as essential “eyes and ears” to family members and supporting agencies. Support can include household tasks, personal assistance, and social engagement - above all, they listen and care. A central theme to the range of services we provide is personalized, attentive, expert care that promotes independence and a dignified quality of life for the seniors we love. We treat each and every client like family, developing long term trust through reliability, open communication, honest dialogue, and attentive service from our highly trained personal caregivers. We are dedicated to providing high quality, competitively priced home care to seniors and their families by offering a full range of services to enable a better quality of life in the comfort of home. 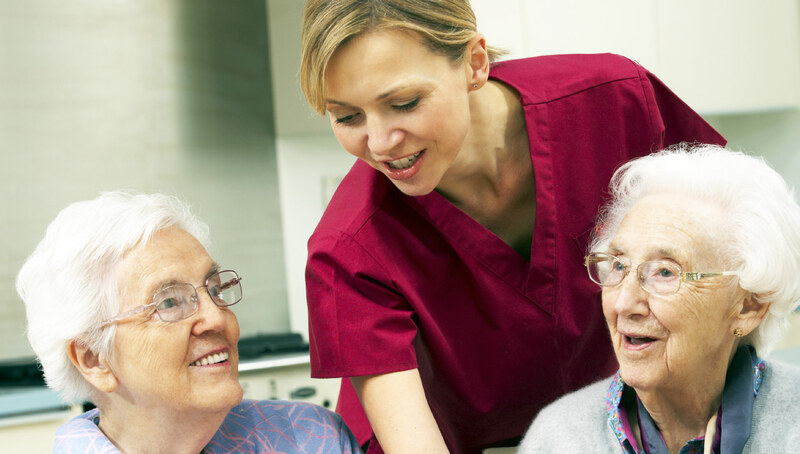 Our highly trained team provides care for dementia, Alzheimer's, hospice, and special needs patients of all ages. We also offer additional care at assisted living facilities, rehab centers, and hospitals. Personal and companion care services through Independence Senior Care are available 24/7, including assistance with activities of daily living, medication management and more. We also offer compassionate personal care for dementia, Alzheimer’s and hospice patients, with services ranging from ambulation, transferring, and lifting assistance, to light housekeeping, laundry, and changing linens. 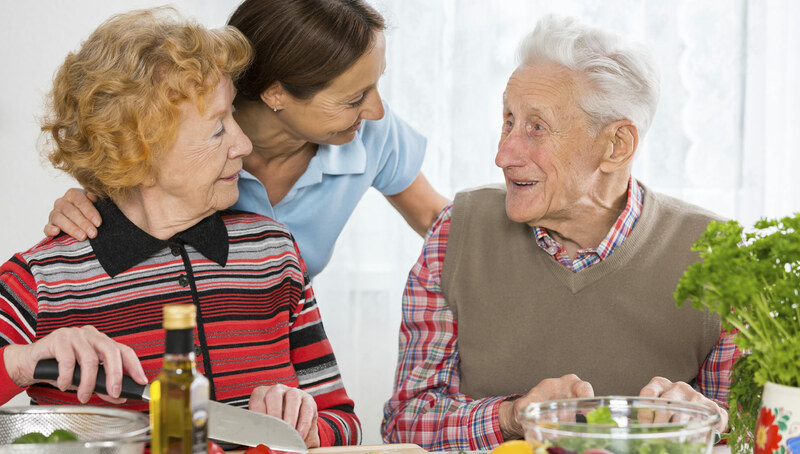 Our caregivers provide seniors with in-home meal planning, preparation, and clean-up. As part of those services, we can include grocery shopping and dietary consultation to ensure that your loved one is getting the right nutritious elements and meal frequency for their specific situation. Factors such as diabetes, digestive conditions, and the intake of certain medicines can play a big role in determining the diet of a senior citizen. We began using ISC in January after my husband suffered from vertigo & had to quit driving. Joe has been fabulous & very reasonable. He always waits for us so there is no reason to call him when the appointment is over. He is very personable & helpful - assisting in every way possible in getting in & our of his very comfortable vehicle. In early April, my husband had a serious stroke, so we began using Joe's caring & compassionate nurse's aides both at the rehab facility & continuing at home. All of the aides reflect Joe's compassion & concern for both my husband's & my well being. We could not be more pleased with the caring & knowledgeable care that ISC has provided us! They were friendly, competent and on time. They provided home care for Susana in March and April of this year. Any time we wanted to change the schedule Joe was very accommodating. He kept all his promises and answered all the calls on his cell. Thank you for your great team and for your personal service. Since her care began, my wife is eating and drinking better and spending more time out of bed. Your team has also been a big help with small household chores and errands. From an emotional level, I feel relief from the overwhelming burden of caring for my wife and keeping up on chores. My father had a PEG feeding tube inserted and when he was released from rehab we had no way to handle his feedings as assisted living facilities would not handle that. My Mom has a bad back and was unable to do it herself. My siblings and I all live out of town. They both needed assistance. Joe came to our rescue and provided aides for the day and recruited LPNS to come in three times a day for Dads feedings!! We were extremely grateful for his efforts and support!! He went out of his way to do everything he could for my parents! Would highly recommend Independence Senior Care! Independence Senior Care has done an absolutely fantastic job taking care of my elderly parents for the past year. Prior to working with Joe, I had contracted with numerous agencies for caregiving services for my parents, and constantly experienced problems with caregivers failing to show up when scheduled and not performing the assigned duties and responsibilities. My problems ended once I started working with Joe and his agency! The caregivers have all been extremely dependable, reliable, honest, caring and responsive to my parents' needs. Joe and his agency definitely value the needs of their clients, and place an extremely high priority in terms of making sure that these needs are consistently and immediately met. The pricing for their services is very fair and competitive here in the Richmond market. I would highly recommend using Independence Senior Care. Joe and his homecare workers took care of my mom at her home for approximately 5 years. Joe was extremely helpful doing this period of time, picking her up from hospital stays, regularly visiting my mom, even picking out a mattress for my mom, and any number of other things to make it easier on me as I was 180 miles away. I also met some nice ladies who were the live-in homecare workers who took care of my mom. I will always appreciate what Joe did for my mom and I. This is by far the best organization I have ever worked with. The owner sat down with us and was able to match up a great caretaker for my mom. There are no glitches or problems, since we keep in touch. I can not overstate how great this company is. Also their rates are really low. Amazing company!! Highly recommend. Independence Senior Care provided excellent care for my mother and gave my family peace of mind when we were unable to be there for her ourselves. The staff was reliable and very caring and for that I will always be grateful. Great service with excellent customer care. When I was shopping for care for my Mom they were the 1st company to call me and it was the owner that I spoke with. I always feel like they truly care for my mother's well being and happiness. Her caretaker has become like a member of our family and I am at complete ease when she is with my mother. I would recommend them a thousand times over! I have been very pleased with Independence Senior Care for the care of my mother. I have used them for almost 4 years, beginning with about 6 hours a day and then progressing to 24/7 for almost 2 years. As with anything, there have been hiccups with a few aides but those were quickly remedied by Joe Gilmore. He takes his clients welfare personally and is always available to hear our concerns and to do whatever he can to make the care of our mother his utmost concern. I would recommend Independence Senior Care to others looking for care of their loved ones.